Google has plans for your face that extend beyond Daydream View. The company is said to be working on a standalone headset that would blend both virtual reality and augmented reality elements, as well as eye-tracking technology. All this new info comes from Engadget, which claims to have scooped it from "people familiar with the matter". The headset will reportedly be able to use sensors to map out the world around the user, fusing digital and physical objects into one environment. The big clincher? It won't need a smartphone or computer to work. That last bit of info got us particularly intrigued, because it means we could see Google build something capable of going up against Oculus's own standalone headset, Santa Cruz. Although, if prior rumours are to be believed, this likely won't be the full-fat Rift/Vive beater that was allegedly shut down in development. 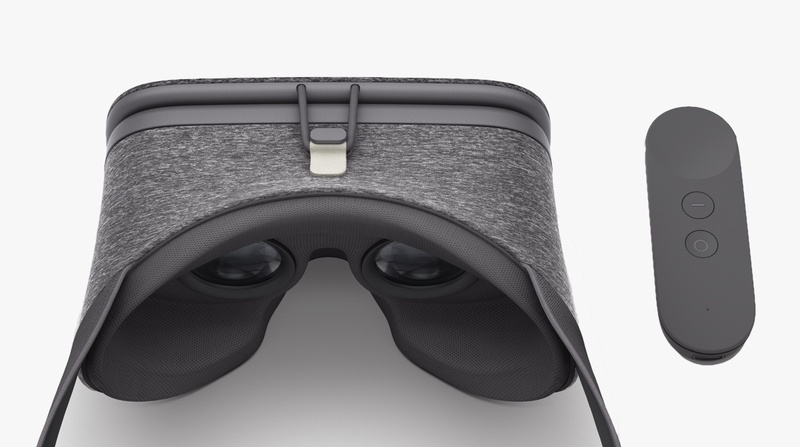 Read next: Our first look at Google's Daydream View - worth the hype? Movidius, an AI company that Intel is in the process of snapping up, is said to be providing the tech that would give Google's headset its positional-tracking abilities. Going hand in hand with Engadget's report is another from The Drum, which noticed some FCC documents hinting at a VR device being worked on by Google. The documents are heavily redacted but reveal the involvement of Mike Jazayeri, who was involved with Cardboard VR, fanning the flames of speculation that Google is dreaming up something bigger.